The Panic of 1869, which caused gold to rally significantly, was in itself a sign to the government that paper money would not win the affections and confidence of the people just yet – this would take time. The question of what was actually money remained an evolving concept. Nevertheless, paper money provided government with the means of creating money beyond any tangible backing that was not yet the objective. 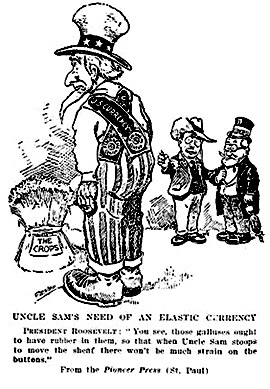 In the beginning, the United States abandoned the Paper Chase following the hyperinflation of the Colonial period. 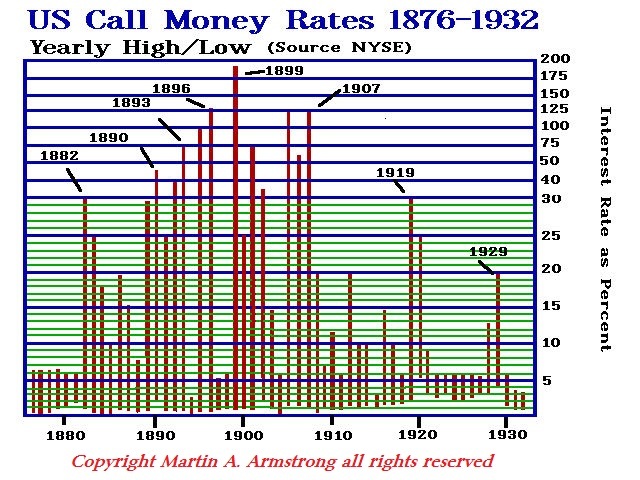 The 1869 gold panic demonstrated the wild swings that were possible during a floating exchange rate monetary system that the USA adopted during the civil war. There was a rising movement with the discoveries of silver that the government should create much more money debasing the gold standard with silver – a tool generally employed by many a Roman Emperor. When the USA was born, only coinage could be considered money. The states were stripped of their right to issue money and that now resided with the federal government. The view that silver was not really acceptable for money was reflected in the fact that 1804 began the period where the USA stopped minting silver dollars. Silver was used only for small change. 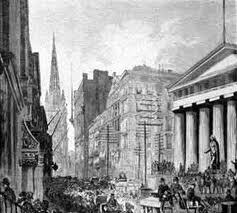 This created the shortage of money so to say that aided Jackson in his bank war since he did not understand the full implications of what was taking place. We can see that despite the fact that gold was technically the official form of money, there were tremendous swings in inflation. During the 19th century, gold became very common with the California, Australia, and Alaska discoveries. The US$20 gold coin production began with the California discovery in 1849 in such major quantities leading to the image that in America the streets were paved with gold. This caused so much immigration and inflation. 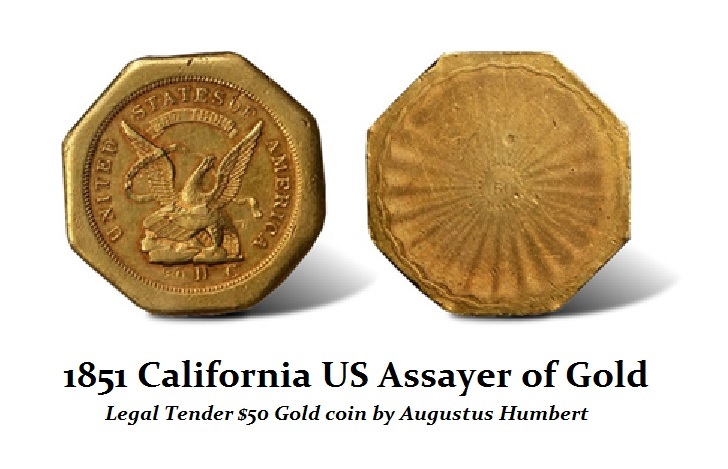 In California, there were $50 legal tender gold coins that began to appear in California with local inflation that was substantially higher than experienced on the East Coast. Even rooms for rent soared to many times that of rent on the East Coast (gold declined in purchasing power). Silver had been discovered in Colorado in the 1860s, with early mining in Clear Creek Canyon at Georgetown in 1864. In the early days, the mineral was overshadowed by gold. Nevertheless, silver was of a low value and the price of mineral meant that most mines were not profitable enough to operate.Therein resided the problem with silver – it was too cheap to mine having little utilitarian use. Major silver discoveries in Colorado prompted lobbying Congress to increase the value of silver by fiat and produce coins. In 1878, responding to pressure from western interests, the United States Congress passed the Bland-Allison Act authorizing the free coinage of silver. The government demand thereby raised the price of the metal to the point where many additional mines were now profitable and that dramatically increased the supply. The discovery of the Leadville district the following year resulted in a flood of new emigrant prospectors to many of the same mountain gullies that had been the site of the gold rush. The Colorado Silver Boom was so dramatic creating the great expansionist period of silver mining activity in Colorado during the late 19th century. Over 82 million dollars worth of silver was mined during the period, making it the second great mineral boom in the state, and coming twenty years after the earlier and shorter Colorado Gold Rush of 1849. 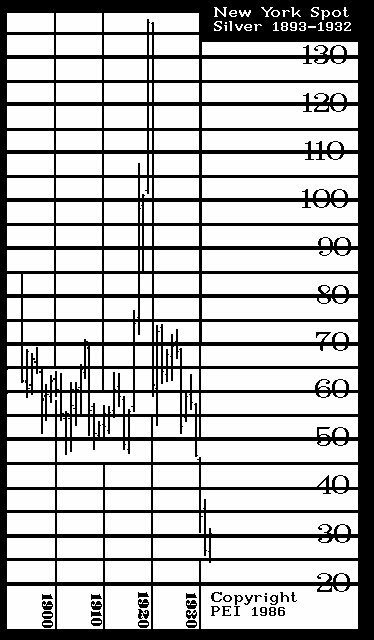 The boom was entirely the consequence of large-scale purchases of silver by the United States Government that overvalued silver relative to gold. The boom endured throughout the 1880s, resulting in an intense increase in both the population and wealth of Colorado, especially in the mountains. It came to an end in 1893 in the wake of the collapse of silver prices caused by the repeal of Sherman Silver Purchase Act following the Panic of 1893 when it was realized that this unsound finance was destroying the economy. Gold poured out of the USA and the world was now selling silver to US government. 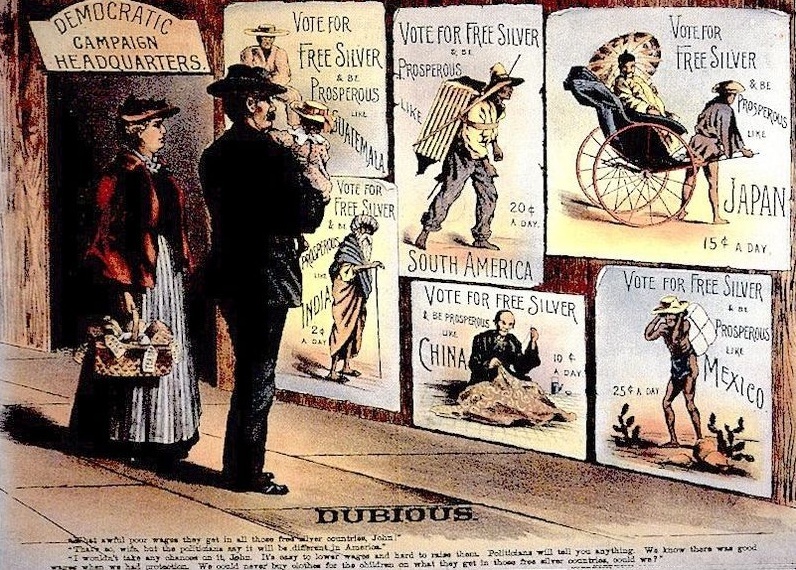 The Silver Democrats were behind the monetization of silver as a standard within the money supply and could not grasp that this was a world economy. They believed that by overvaluing silver, the rest of the world would follow their lead. Instead, the rest of the world redeemed American gold and paid them with their overvalued silver and said thank you very much. The United States economy had entered the deepest depression since 1873 that lasted until 1879. This silver dollar production was a means of inflating the way out of depression.The political corruption involved on the part of the silver miners ruined the nation. The government began to mint silver dollars in 1878 by the ton frantically buying up the metal and taking 66 cents worth of silver and coining it into a “legal tender” dollar. This was a form of inflation that debased the entire US monetary system. Nevertheless, perhaps domestically anything could be called money, but when it came to international transactions, 66 cents worth of silver just wasn’t acceptable. 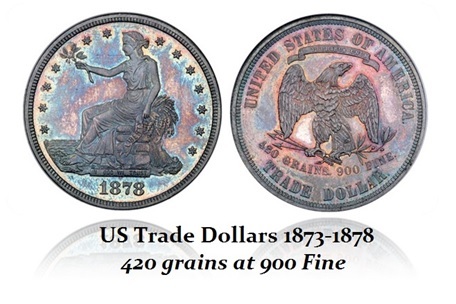 The U.S. began to mint the “Trade Dollar” – a silver coin identical in size to the domestic silver dollar, but it contained $1 worth of silver. There was no cheating when it came down to money internationally. For the first time in U.S. history, the U.S. actually issued two types of dollars with distinctly different values for domestic and international transactions – the birth of a Two-Tier Monetary System. In 1879, the paper currency and bonds had become virtually the same instrument. 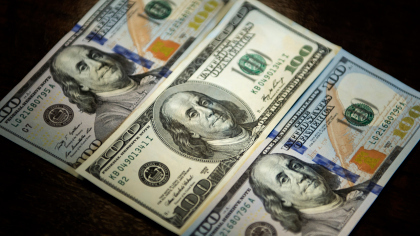 An Act of Congress authorized the Treasury to issue “Refunding Certificates” in $10 denominations. This was an effort to raise money by issuing these notes which paid 4% interest for as long as the bearer held on to them where as interest bearing notes of the Civil War had limited time frames with restrictions placed upon them as to the amount of time interest would be paid. This issue of Refunding Certificates was eventually cancelled on July 1, 1907 when the original face value had more than doubled making the outstanding debt obligation to the government $21.30 per original $10 note. This was a hybrid form of circulating bonds. The Treasury then began to issue paper currency now backed by inflated silver dollars. The currency was more convenient to conduct large transaction in silver coin. Denominations now appeared in $100 and $500 notes redeemable in silver coin. In 1882, the first postwar gold backed paper money was issued. 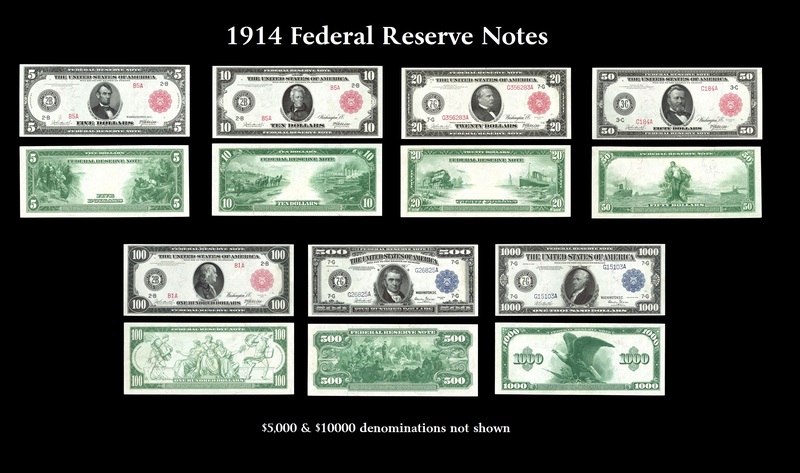 These notes were necessary to repair the great damage caused by the mismanagement of paper money over the 120 years unleashed by Jackson’s Bank War. 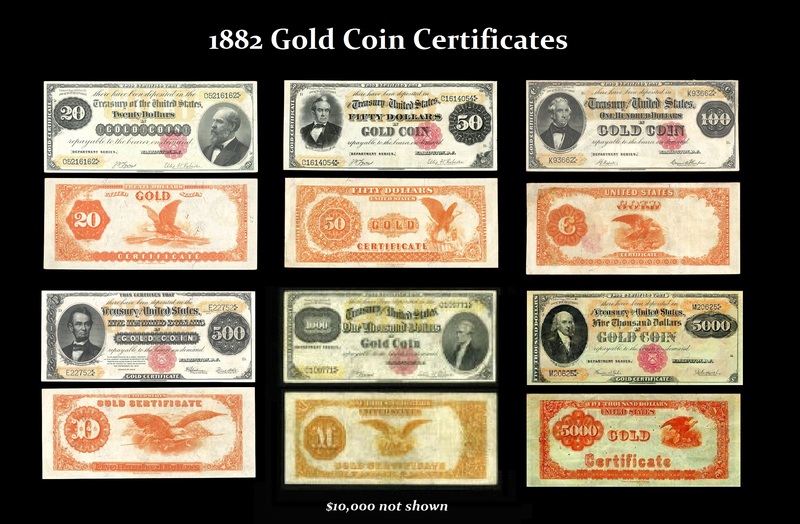 The gold certificates became highly prized and the average man would spend the silver dollars and greenbacks long before ever disposing of a gold certificate. The economy was responding to the huge influx of these various forms of money. 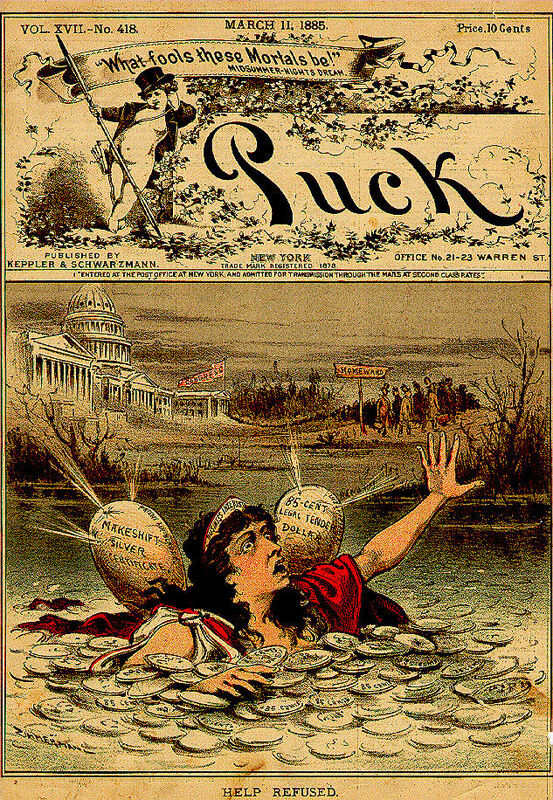 The front page of Puck, the English magazine, showed in 1885 America drowning in her overvalued silver dollars. Silver dollars had been minted by the millions every year and Gresham’s law prevailed. The influx of cheap money through the greenbacks and silver dollars forced the people to hoard gold. But of even greater significance was the fact that gold was leaving the country to satisfy foreign obligations both private and federal. Silver dollars were just not accepted in foreign exchange. As a direct result, the Panic of 1893 arrived and the Treasury, nearly stripped of its gold reserves, had nothing itself other than silver dollars and greenbacks. An economic panic took place which was far more devastating than most ever dreamed possible. The Republicans were desperately trying to get the monetary system back in line and were pressing for a return to gold as being the only lawful money. But the democrats continued to proclaim that it was gold which had caused the panic and not the proliferation of silver which had been introduced. This became the classic battle between austerity and inflation. This remains the difference between Germany and the United States to this day each clinging to their previous bitter experiences. The Germans remember their hypreinflation and the Americans remember the Great Depression. The Silver Bubble burst and the unsound finance unleashed by the flooding of silver came to an end and immediately after Cleveland’s speech, the repeal of Sherman Silver Purchase Act followed. 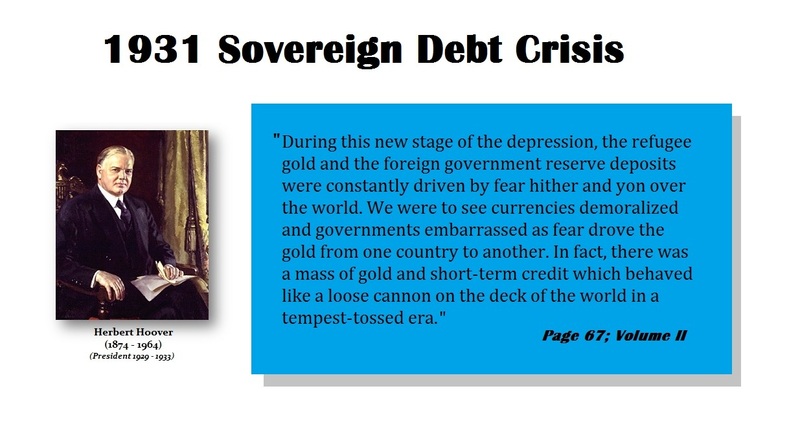 Gold poured out of the USA and the world was now selling silver to US government. The Republicans pushed through an income tax on August 28, 1894, which was the first graduated income tax. 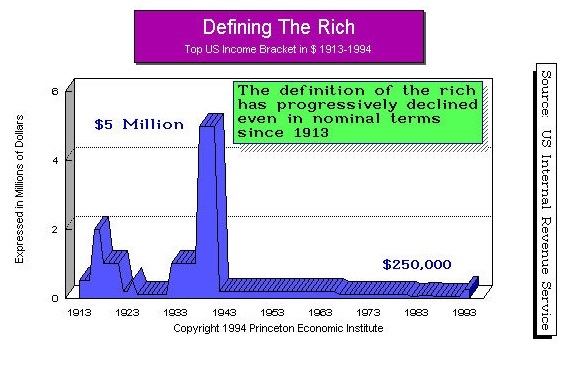 However, the U.S. Supreme Court declared this was a “direct tax” and thus unconstitutional the following year in 1895. It was clear that the Panic of 1893 was also ushering in Marxist philosophy. 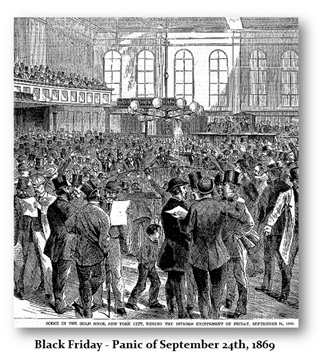 The Panic of 1893 was followed by Panic of 1896 and the debate over silver did not fade so easily. 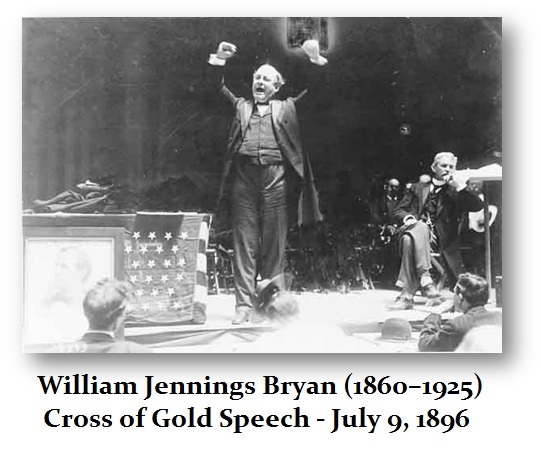 The Panic of 1896 is perhaps best known for the fiery speech of William Jennings Bryan (1860-1925) who spoke out in favor of issuing more silver and against the return to gold as the sole standard (listen below). Indeed, in 1891 the total mintage of silver dollars was 24.5 million, which decline to 6,3 million in 1893 followed by 1.4 million in 1893 and increased to 3 million in 1895 collapsing to 850 thousand in 1895. The total amount of silver dollars that poured into circulation between 1878 and the supply of silver that Congress was mandated to purchase from the miners was fully depleted in 1904 was staggering 570 million (570,247,299). 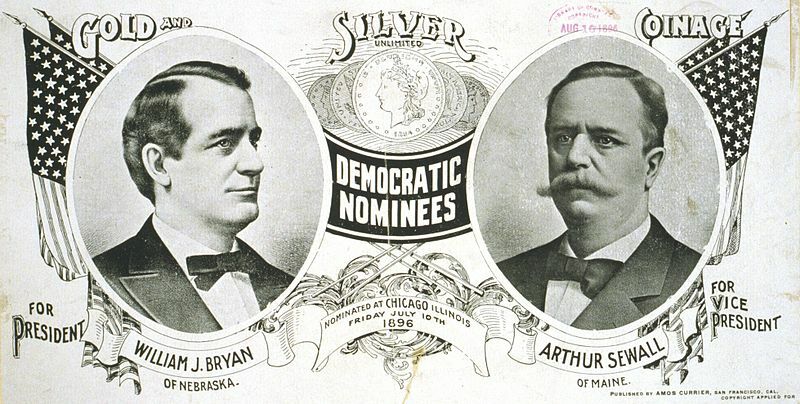 History has labeled this period of the Silver Democrats who brought the near collapse of the United States into bankruptcy, which was averted only through the efforts of J.P. Morgan who organized a loan to the US Treasury in 1896 of a $100 million in gold to prevent its bankruptcy.The economy never seemed to return to a stable atmosphere. The last great North American “Gold Rush” began on April 6, 1896 when gold is discovered in the Yukon District of Canada. This period was followed by the and Panic of 1898 when the Spanish American war and the United States annexed Hawaii on July 7 that year. Interest rates soared to their highest in 1899 reaching almost 200% on the NYSE. 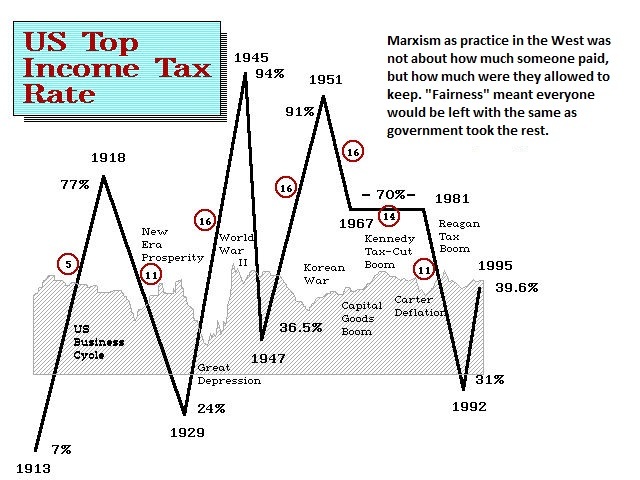 This period was followed by the “Rich-man’s Panic of 1903” and another devastating affair, the “Panic of 1907” that ultimately led to the birth of the Federal Reserve and the Federal Income Tax. Following the Panic of 1907, it became clear that capital flows within the nation were critical. Money flowed to the Midwest during crop season and then there was the 1906 San Francisco earthquake that led to the movement of capital from New York to the earthquake zone as insurance payments had to be made. 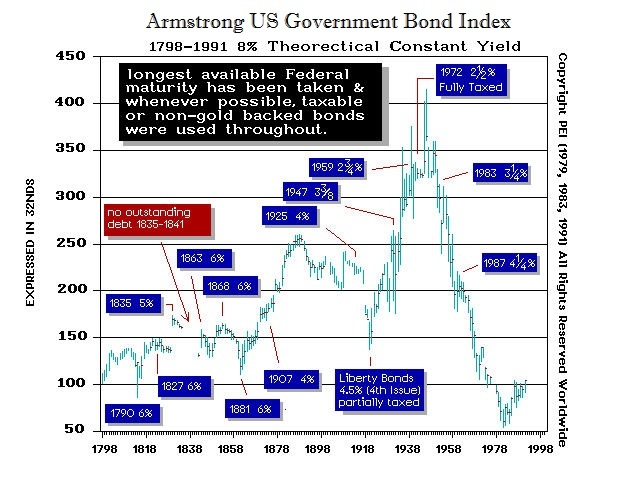 This led to the formation of the Federal Reserve with 12 branches that were independent and could lower or raise interest rates in their local region to attract capital or deflect it to balance out the capital flows and avoid panics causes by temporary shortages in cash. The paper currency ceased to be Treasury issues and became Federal Reserve notes precisely as was the case with the Bank of the United States that Andrew Jackson destroyed. Here is a note of the Bank of the United States signed by Nicholas Biddle (1786–1844) who was the object of Jackson’s hatred. The Fed was created as a bank insurance fund with the elastic ability to expand cash to meet the demand during a panic to prevent bank failures. To stimulate, they would buy corporate paper. This was actually a brilliant design. Unfortunately, as World War I erupted, the government altered the design and ordered the Fed to only buy government bonds. As always, they never returned to the original design. Then in the Depression, FDR ordered a single interest rates abandoning the capital flow regional design yet did not close the 12 branches. After the Panic of 2007, now we have the Too-Big-To-Fail policy and the Fed can take over anything if it threatens the economy. It is no longer the central bank it was designed to be. In 1898, Congress approved a bill that required all remaining bullion purchased under the Sherman Silver Purchase Act to be coined into silver dollars. 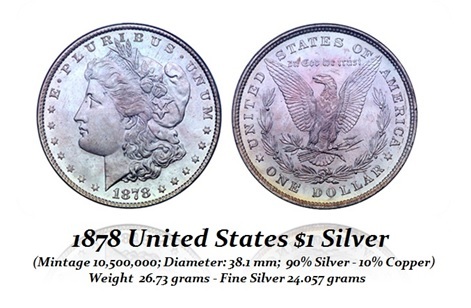 When those silver reserves were depleted in 1904, the Mint ceased to strike the Morgan dollar. 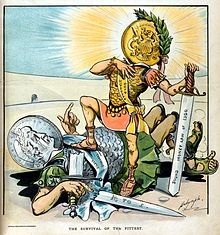 The Pittman Act, passed in 1918, authorized the melting and recoining of millions of silver dollars. Pursuant to the act, Morgan dollars resumed production for one year in 1921. The design was replaced by the Peace dollar later the same year. World War I was the economic suicide of Europe and this was the event that shifted capital flows to the USA as the crown of Financial Capitol of the World passed from Great Britain to the United States in 1914. The war succeeded in turning the attention from economic woes towards the enemy in Europe, yet no one understood the shift that was taking place. The war had brought a whole new era of prosperity and the Bull-Market of the 1920’s. 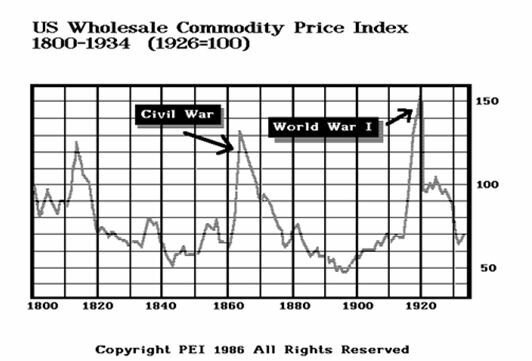 Commodities exploded and reached their peaks during the 1919 period and generally began as 13 year bear market into 1932. The United States had absorbed the capital that was once in Europe and a new dawn had appeared that remained still largely unnoticed. Nevertheless, the proof that gold and silver were not a one for one hedge against inflation appears in this chart that silver crashed into the 1932 low without making a rally into 1929 during the greatest inflationary boom of the 20th century USA. The Bull-Market of 1929 had almost everyone believing that the economy was on the eve of the “biggest and strongest economic boom in history.” Strange how those words seem so familiar. 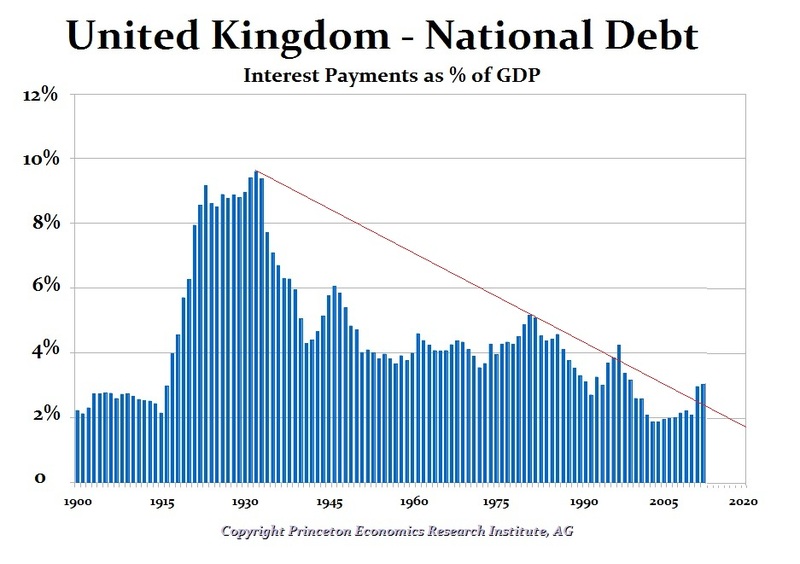 But what led to that infamous day when the next bubble burst in 1929, was a huge influx of European government spending and the creation of debt. The major collapse came in 1931 when the European debt system collapsed and government after government went into default. Turn the economy and you turn the politics. Just as the Panic of 1893 jettisoned Marxism around the world including into American politics, the next phase came on the heels of the Great Depression and the election of Franklin D. Roosevelt in 1932. Everything was confusing and no one understood how everything was connected. President Hoover wrote in his memoirs that capital acted like a “loose cannon on the deck of the world in a tempest-tossed era.” He launched an investigation of Wall Street under the conspiracy theory that someone was trying to destroy the Republican Party. They hauled in everyone looking for short-players but found nobody. when “representative government becomes angered, it will burn down the barn to get a rat out of it.” (p129). The United States was adopting the very same policies of Germany in the post-2007 era. There was such a shortage of money that hundreds or cities began to print their own currency to survive. There was no money available to pay taxes no less conduct commerce. People were hoarding money in all forms for fear of the banking system. Franklin Delano Roosevelt (1882-1945; Pres 1933-1945)(FDR) was convinced by George Warren (1874-1938) that only a devaluation of the dollar would restart the economy. 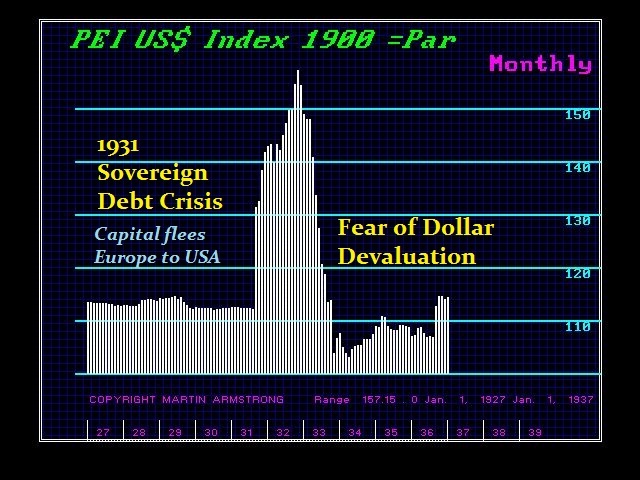 The capital inflows had sent the dollar to excessive highs thanks to the Sovereign Debt Defaults of Europe, Asia, and South America that began in 1931. Britain had abandoned the Gold Standard and that resulted in the reversal of the economy. Roosevelt realized that gold was being hoarded thanks to the massive collapse in banking. He then orchestrated the Bank Holiday and that was used to seize all the gold from the banks. The Gold Reserve Act of 1933 was devised to put an end to the problem from their viewpoint to the gold hoarding. FDR did not confiscate gold coins that belonged to collectors. He was well aware that Teddy Roosevelt has been an ancient coin collector. It was Teddy who in 1907 wanted the US coinage to become more artistic as was the case with ancient Greeks. Pictured above is a famous Tetradrachm from Naxos, Sicily struck about 450BC. You can see the high relief and beautiful workmanship. 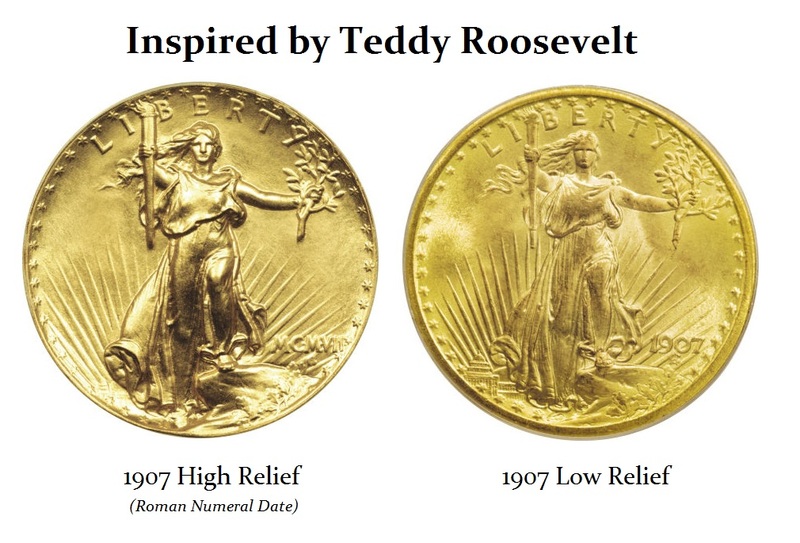 Teddy order the first new redesign of the $20 gold coin to be struck in high relief. The machines could not handle the intense pressure and the idea was abandoned. A low relief was then devised and the date was made traditional “1907” rather than in Roman Numerals that the average person would have had no clue what they meant. Based upon Teddy’s collecting habits, collector coins were exempt from the recall. The free market forces indeed came into play and the economy bounced as prices began to rise in terms of the newly devalued dollar. Therefore, the Act of 1933 was also a massive devaluation of the dollar as the official exchange rate of gold to dollars in 1929 was $20.67 and the Act of 1933 devalued the dollar and altered that rate to $35, which was maintained into the 1968 Crisis. The Paper Chase was underway, yet few really understood what it was doing. The Supreme Court ruled in several decisions that private gold clauses in contract could no longer be enforced. The government would actively seek to prosecute anyone for hoarding gold and demanded that the public surrender their gold to the Treasury. However, there were no door-to-door searches for gold. The government was now embarking down a path of monetary policy it did not truly comprehend. 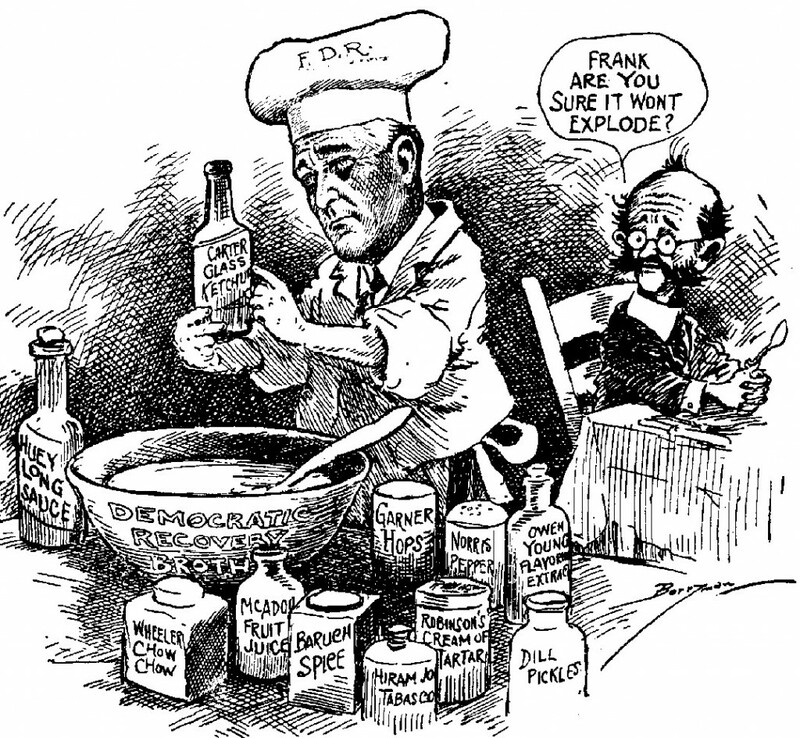 The Great Depression within the economy lessened, no doubt, when FDR effectively abandoned austerity. However, just as the internet is reducing jobs in many fields with technology advancement, the same has happened many times. The railroads brought mail order and competition to local main street stores. The invention of the combustion engine did the same thing to agriculture. 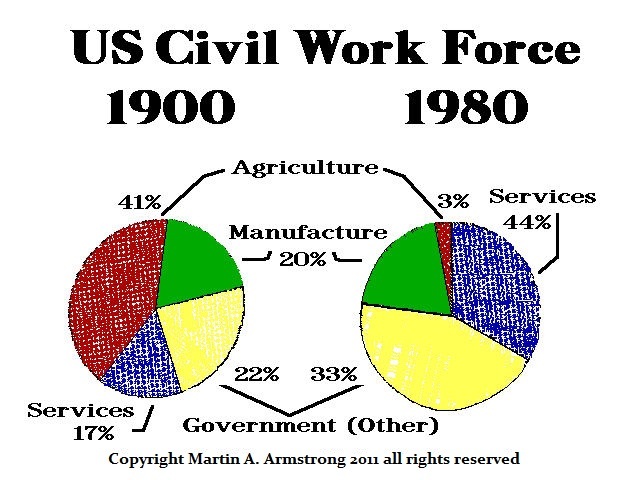 Prior to the Great Depression, about 40% of the civil work force were farmers. The combustion engine created tractors replacing hundreds or workers sending unemployment to 25% by nearly 1935. World War II was costly and the presses were rolling. However, FDR ordered the Federal Reserve to support the US bond market at par throughout the war. 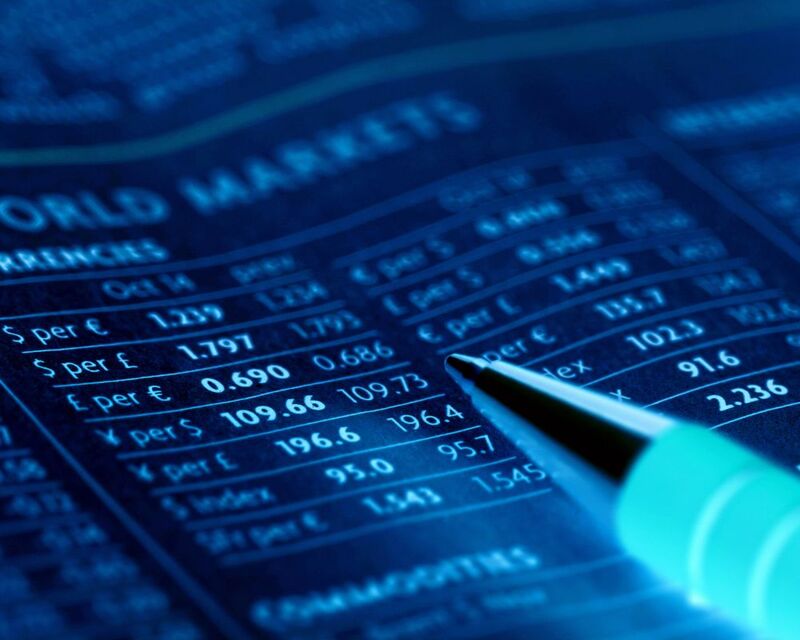 Therefore, interest rates went flat and remained in that position until 1951. The unemployed were sent off to war and they were amazingly transformed into skilled labor. They did not return to their farms and they were merged into the productive work force. Most everyone, including economists, were misled to believe that paper dollars had brought the period of prosperity and that the system of organized borrowing could actually last forever. 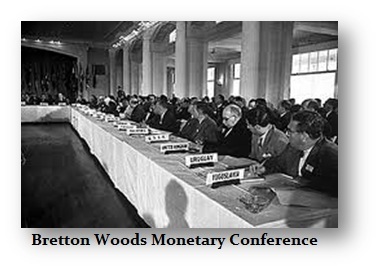 The Bretton Woods Monetary Conference established the dollar as the reserve currency because the US emerged from World War II with 76% of the entire world’s official gold reserves. You would think that those involved were smart enough to design a practical system. Unfortunately, when you have a monarchy or a representative government with perpetual career politicians that amount to the same thing, their personal self-interest gets in the way. The designers overlooked a vital point. Everyone looked at the dollar as the bulwark within the international monetary structure, but they failed to comprehend that there was no restraint upon the creation of money. Economists and government officials viewed the dollar which was strong and almighty in a war ravaged world. However, the US kept spending money and year after year deficits continued in booms and busts. The money supply was increasing yet the ratio of gold backing was never altered. The recession of 1949 was, perhaps, a warning sign that government had not won the Paper Chase for prosperity. Britain was forced to devalue the pound and the underlying instability was going unnoticed. Meanwhile, government adopted the Marxist agenda in Europe and most of industry was nationalized following the communistic ideas, they just allowed private ownership with strings. In the USA, the tax code reflected the Marxist agenda has really won the day. The top tax rate reached 94% in 1945 and it was reduced to 36.5% in 1947. However, the Marxist agenda was taking hold as unions grew in power and arrogance so did the tax rate reaching back at 91% by 1951. It was not the Republicans who lowered the tax to 70%, that was the Kennedy Administration that took hold in 1967. It was not until Ronald Reagan in 1981 when the tax rate was cut to 31%. Thereafter, the Democrats have been trying desperately to raise it back to 70% jumping to 39.6% in 1995 and Obama will do whatever he can to keep raising taxes. The real problem has been they keep lowering the definition of the hated “rich” to grab small business and the middle class where the majority of money resides. World War II complete the great transformation of labor and unions now fought not over working conditions, but wage increases. The idea that the wealth could be spread with no economic impact was wishful thinking. The unions kept demanding more and more, yet they only looked at their own self-interest, They failed to realize that the higher the wages, the greater the cost of production, and prices to the consumer would rise as well. This was taking money not out of the pockets of the rich, but the consumer. The union movement reached excessive insanity during the 1960s and the quality of their workmanship declined with the rise in their arrogance. Strikes were becoming increasingly violent. The Mafia was to a large extent deeply involved in the labor unions. 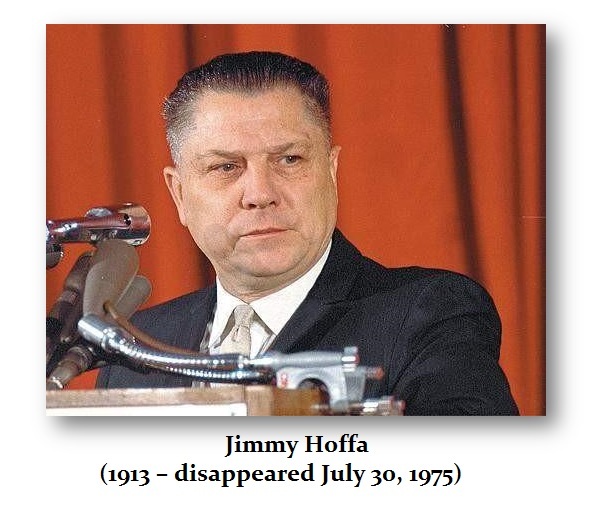 This led to the investigation by the Kennedy Administration and the search continues to this day to find the burial location of Jimmy Hoffa (1913 – disappeared July 30, 1975). This violence among American car unions led to arrogance and Detroit today is a bankruptcy city with nothing to offer. The unions succeeded in displacing American car production shifting it to Japan and Germany based upon quality and price and the consumer made that free market choice. The unions also destroyed New York City that had been the greatest port in 1929. 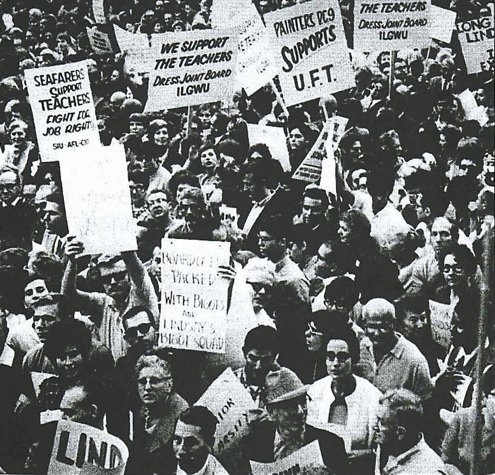 Today, no ships dock in New York City thanks to the unions. Eliminate banks and finance and New York City will quickly devolve into a decaying Detroit. The Paper Chase can be best illustrated by the currency itself. In review of the currency issues prior to 1928, the note size was large and they were clearly marked as this note from 1922 stating: “This certificate is legal tender in the amount thereof in payment of all debts and dues public and private…” There was no question it was NOT actual money itself, but rather a representation of money stating it was a certificate only. 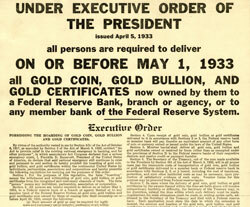 The Series of 1928 when the size was reduced to the current dimensions, this statement was modified and now read:… “Redeemable in Gold on Demand at the United States Treasury or in gold or lawful money at any Federal Reserve Bank.” This shifted part of the responsibility to the Federal Reserve and away from the Treasury. But it also refers to “lawful” money which could be redeemed for silver coin and not merely gold. The gold certificate of the 1928 Series stated: “This certificate is a legal tender in the amount thereof in payment of all debts and dues public and private.” The term Legal Tender meant that the government would accept this in payment of debts and taxes itself. In the series of 1934 we find a departure from gold backing. The fine print clearly states: “This note is legal tender for all debts public and private and is redeemable in lawful money at the United States Treasury or at any Federal Reserve Bank.” The importance of this qualification is the omitting of any reference to gold yet its still does not suggest that the dollar itself is lawful money. There is simply no mention what constitutes lawful money. 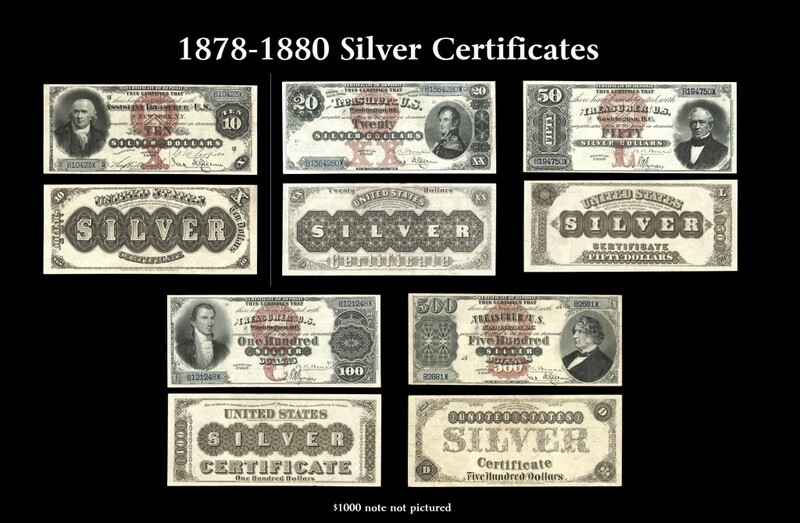 There were Silver Certificates issued for small denomination in 1934. Here the note states that “This certifies that there is on deposit in the Treasury of the United States” $10 worth of silver. There is an additional clause stating “This certificate is legal tender for all debts public and private”. The 1934 statement “This note is legal tender for all debts public and private and is redeemable in lawful money at the United States Treasury or at any Federal Reserve Bank” continued in used after World War II and appeared of the series of currency notes issued in 1950. Even though gold was illegal for American private ownership, it was still the “lawful” money for which all paper currency could be redeemed only by international transactions, not domestic by the American public. 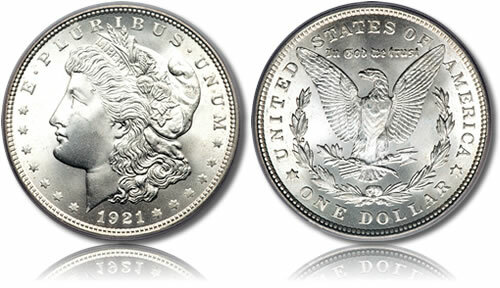 The fine print that appeared on the series of 1934 remained in effect on all subsequent issues of paper dollars until 1963 when silver was being removed from the coinage. The 1963 notes now said: “This note is legal tender for all debts public and private.” Any reference to “lawful money” vanishes and this proves that the position in 1934 was that while gold was banned for domestic use, silver was now the lawful money. In 1963 the government took one step further. The price of silver had moved in the free market to levels which forced the government to stop issuing silver coin. The last leg of the Paper Chase was not to take shape. The series of 1963 abandoned any reference to lawful money. The transformation was now complete. The people over the transition from generation to generation forgot what “lawful” money once was. Suddenly, paper money became the lawful money. This simple statement on every note that “This note is legal tender for all debts public and private” made the final transition to where the paper money itself is became the legal tender “lawful” money. This qualification has remained in place ever since 1963. There is no redemption for anything else so what began as a representation of money has evolved into money. Curiously enough, Roosevelt had adopted a two-tier monetary system without realizing what he had actually accomplished. The city of Florence, and many others, had adopted similar monetary systems whereas gold was used for international trade and silver for domestic. We see the same monetary system in China where bronze was for domestic use and gold as well as silver was used for international trade. During the early formative years of the Roman Republic before 211BC, the monetary system domestically was bronze. 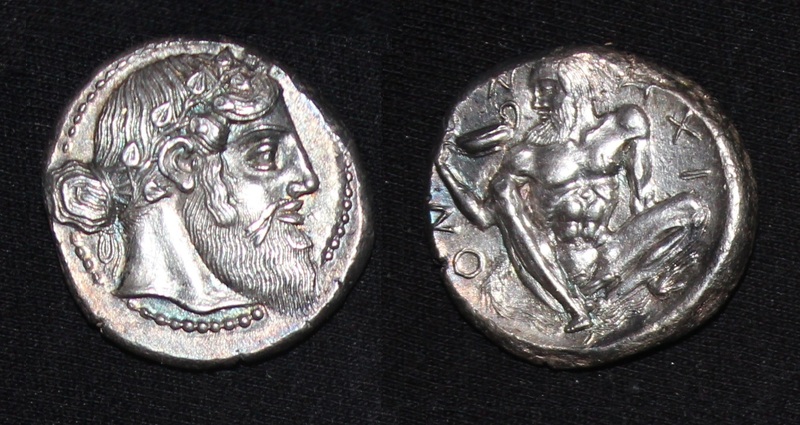 They began to mint silver coinage around 280BC, but these were based upon the Greek standard. This was obviously also to settle international trade whereas the bronze coinage was for domestic use. Therefore, FDR’s confiscation of gold and considering silver as the “lawful” money for domestic use was precisely the manner that most other empires had been structured with two separate money systems that were used for domestic and international trade. Since 1963 the American population has believed that it is the paper dollar is money itself. The certificates which once representative guarantees that the Treasury held the lawful money for the individual, has been successfully transformed into the money itself. Man’s quest to create something totally intangible that the public would look upon as actually being tangible was finally accomplished after 200 years. The Paper Chase was complete. Yet at the same time, government has been reducing the denominations to force people to pay taxes by keeping large sums in banks. 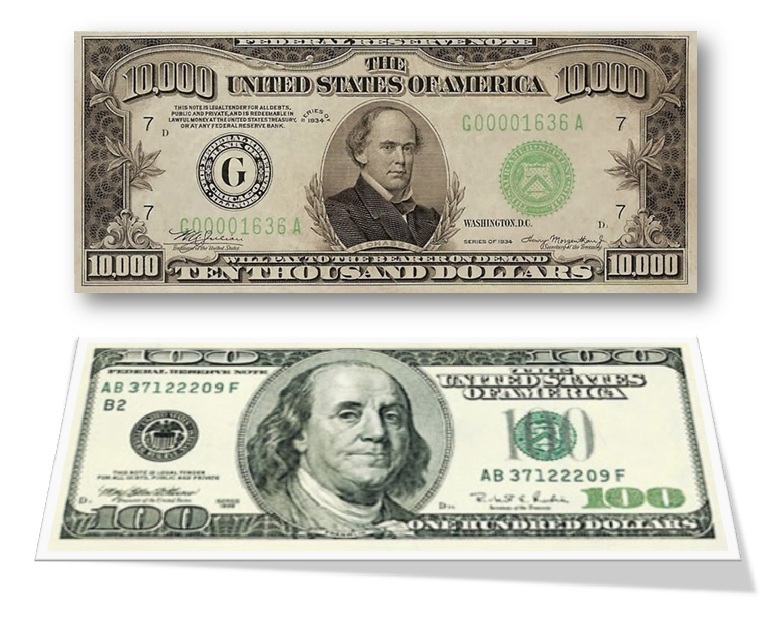 In 1934, the US government printed $10,000 bills. Today, the largest denomination is $100. The available “printed” money supply is a tiny fraction of the overall money supply. Today the paper currencies have emerged as commodities subject to the whims of politics, confidence and anticipation. They have lost their tangible aspect which at one time had rendered them a mere receipt for a tangible deposit of “lawful money.” Instead paper currencies trade with the flows of capital often violently on rumors and anticipation, and lack any definitive fixed value from one day to the next. The role of the paper currencies within our economy has been changing dramatically over the past few hundred years. Like an old photo of years past, we are suddenly confronted with our own mortality as we grow older. Yet this evolutionary process in the economy has not been noticed by the public or even academia. The recent history of the paper currencies can be seen only by looking back in time and reading the fine print which they once carried. The true wealth of a nation is not its gold reserves or anything tangible. It is the total productivity of the people. This was proven by Japan rising to the second largest economy with only a tiny island, no real natural resources, and dead broke after World War II. None of the old ideas of wealth and money restrained the productivity of the Japanese people. That above all else, proved that the wealth of a nation is its people and their capacity to produce. In 1950 the foreign exchange holdings among central banks was $17.3 billion. In 1980 those holdings rose to $350 billion. On a central bank level, their gold holdings have been declining while paper currency holdings have been rising and mutating into purely electronic entries. The Paper Chase is not over insofar as we are migrating now to electronic money. Eventually this monopoly game will meet the same end as it did in the 1700’s in revolution and collapse for the consistent culprit remains politicians who have no concept of helping society – only maintaining power at any price. 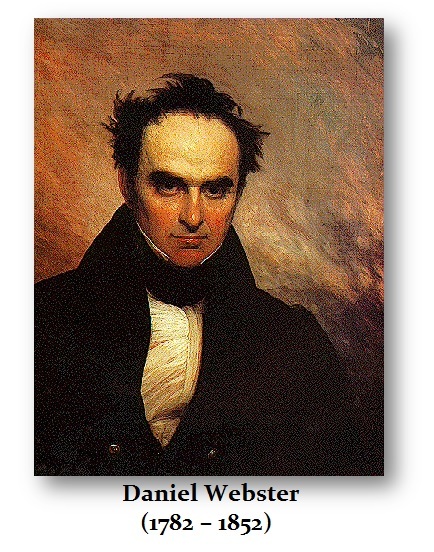 In the words of Daniel Webster we find the true bottom line of reality. The game remains a foot. It is now the Electronic Chase.